Russia’s Aeroflot Group (Aeroflot, Rossiya Airlines, Pobeda and Aurora) has posted profits for the first nine months of 2018, after a loss-making first half of the year and a 47 per cent hike in fuel costs. The company’s net profits reached 22.5 billion roubles, 17.2 per cent shy of the profit figures posted for the same period of last year, the group’s International Financial Reporting Standards (IFRS) report shows. 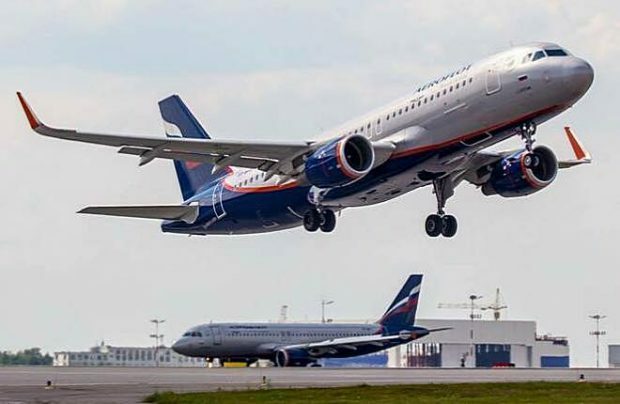 Aeroflot’s recovery continued during the third quarter – the high season for commercial airlines – following an upward momentum established between April and June. From July to September the firm’s net profits improved by 14.2 per cent year-on-year to 27.7 billion roubles. In the period, the carrier’s revenues enjoyed an upwards trajectory, rising 18 per cent in the third quarter (200.5 billion roubles) and 15.2 per cent year-on-year between January and September to 466.3 billion roubles (US$7.17 billion). The improvement comes despite the massive spike in the cost of aviation fuel in comparison to the third quarter in 2017. Over the nine-month period fuel costs rocketed by 36 per cent. Aeroflot’s fuel expenditures from July to September reached 54.1 billion roubles, up 60.3 per cent year-on-year. Since the beginning of the year, the cost of fuel has risen to 132 billion roubles, up by 46.7 per cent. This substantial increase is also a result of the airline’s fleet expansion and an increase in flight schedules, notes the airlne. Aircraft maintenance costs rose by 11.2 per cent to 11.8 billion roubles in the third quarter and to 32 billion, up 22 per cent, during the first nine months mostly due to Aeroflot’s fleet expansion programme. The number of aircraft under operational lease contracts increased on 57 aircraft or by 21.8 per cent in comparison with September 30, 2017. As a result, lease payment costs increased by 40.9 per cent in the third quarter to 24 billion roubles and by 33.7 per cent to 63.8 billion over the nine months. Encouragingly, Aeroflot’s fleet expansion has stimulated further growth in passenger traffic, which increased by 13.1 per cent in the third quarter to 17.4 million passengers and 42.2 million (up 10.2 per cent) over the first nine months, reveals Andrey Chikhanchin, the group’s director for commerce and finance. The company’s report reveals that revenue from charter operations is growing at an exceptional rate – up 36.5 per cent (14.2 billion roubles) in the third quarter and up 34.2 per cent (30.6 billion) during the first nine months. This improvement is mostly attributed to Rossiya Airlines expanding its charter programme. Overall, the group’s performance presents a picture of continuing growth. The third quarter’s total passenger operations generated 117.6 billion roubles, up 18.7 per cent, scheduled services produced 163.4 billion roubles (up 17.3 per cent), whilst freight operations raised 4.7 billion roubles – up 13.2 per cent. For the period from January to September, total passenger operations revenue reached 410 billion roubles, up 17 per cent. Scheduled operations generated 379.4 billion roubles, a rise of 15.8 per cent, and freight operations – 12.8 billion roubles, up 13.6 per cent. The group’s report also reveals the contrasting financial performance of its low-cost subsidiary Pobeda Airlines for which net profits declined both during the third quarter and over the nine-month period, dropping by 4.3 per cent (3.1 billion roubles) and 10.1 per cent (3.3 billion) respectively. Conversely, the low-cost carrier’s revenues are continuing to grow, up by 64.8 per cent in the third quarter (12.7 billion roubles) and 65.5 per cent (26.5 billion) from January to September. Last year’s profits for Aeroflot Group were due primarily to the contributions of the title carrier and its low-cost subsidiary Pobeda. Transaero Airlines: too big to fail or to support?